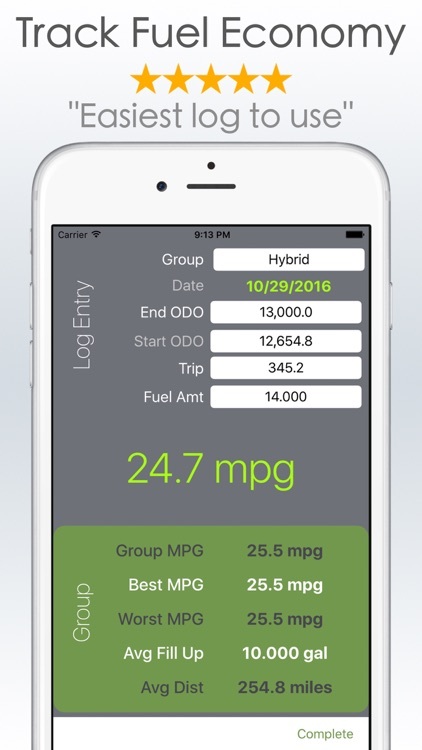 Calculate and track your gas mileage. 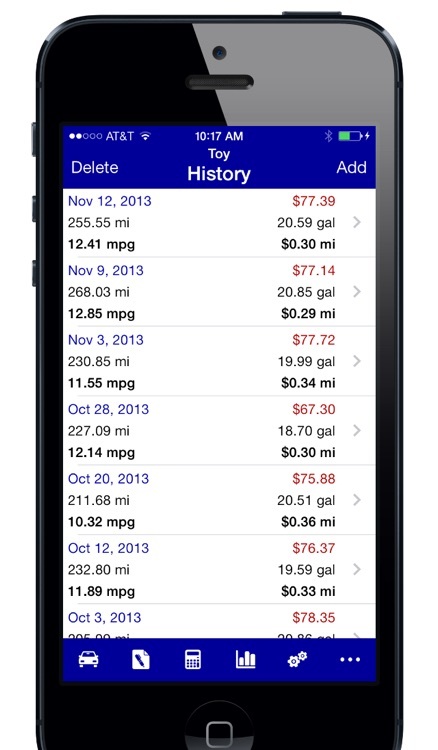 These apps will easily calculate your miles per gallon/liter so you will always know your vehicles fuel efficiency. 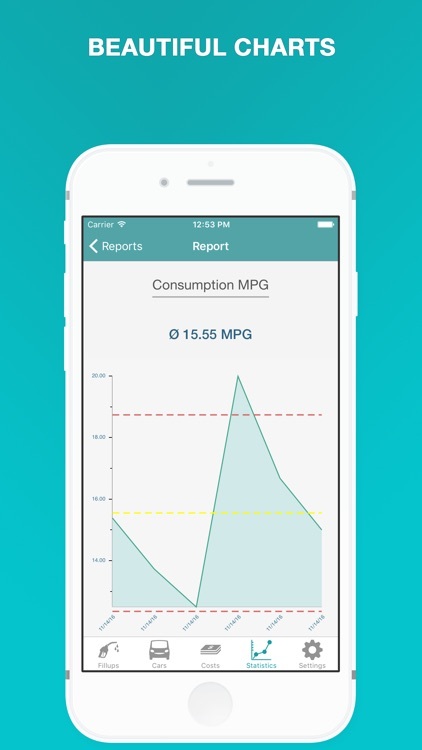 Gas Log was created with the everyday driver in mind! 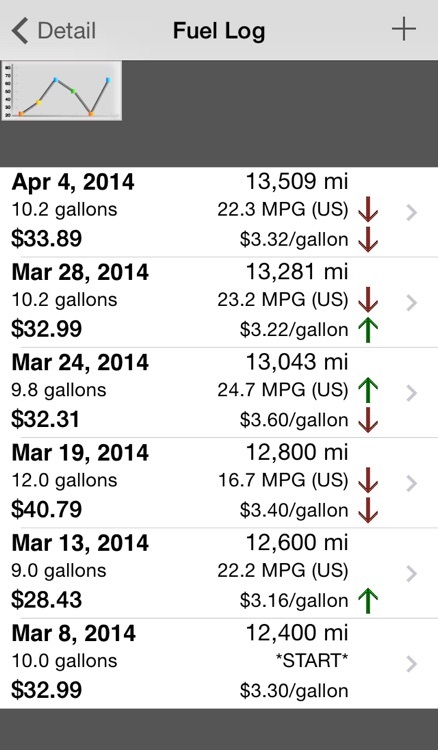 Easily record fuel efficiency (MPG) by typing in the trip distance and the fuel you last pumped. 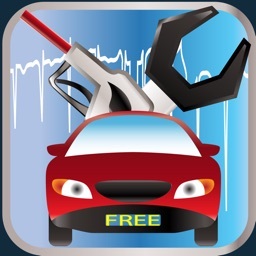 Test and verify different driving methods and record multiple vehicles. 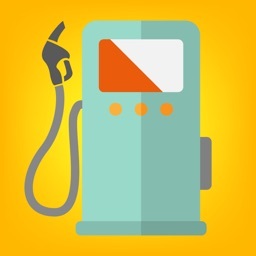 Make sure you are optimizing your gas mileage today! 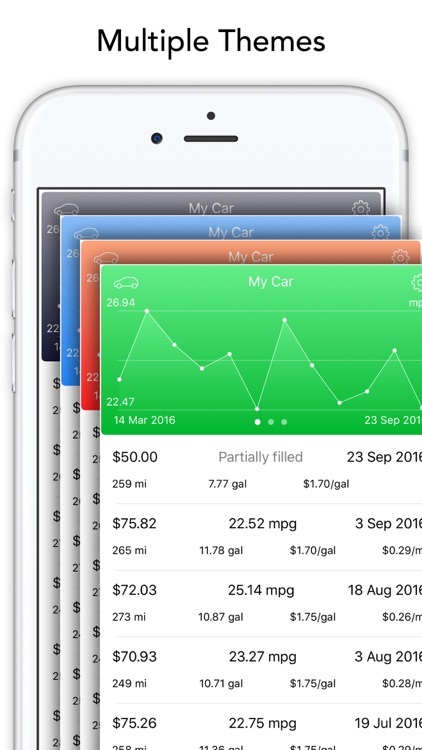 Formerly Fuel Buddy, Simply Auto is a complete app for car and fleet management. 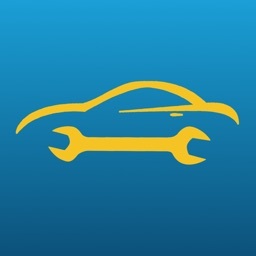 It serves as your car maintenance log like car services, repair, and expenses. 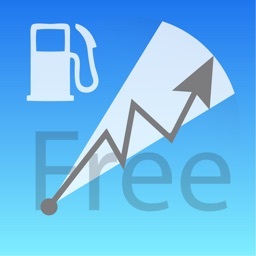 It provides the right amount of information in a simple and non-cluttered manner. 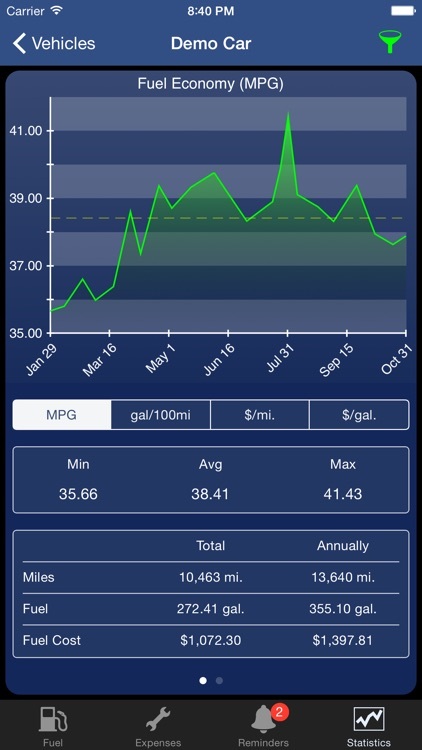 Mileage Keeper tracks your vehicle's fuel economy, which helps you save money! 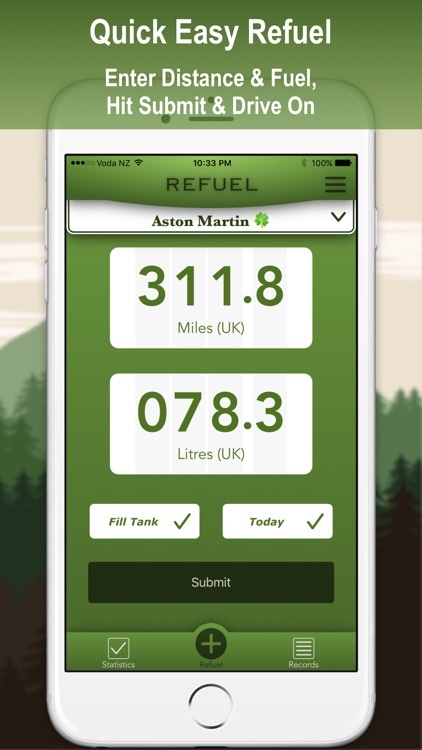 Track how much fuel you’re going through with Fuel. 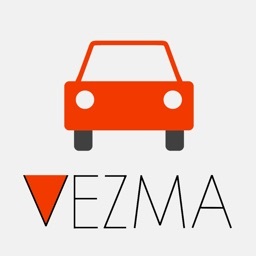 Vezma GPS mileage tracking app helps you keep track of your car mileage, driving route, speed and expenses. 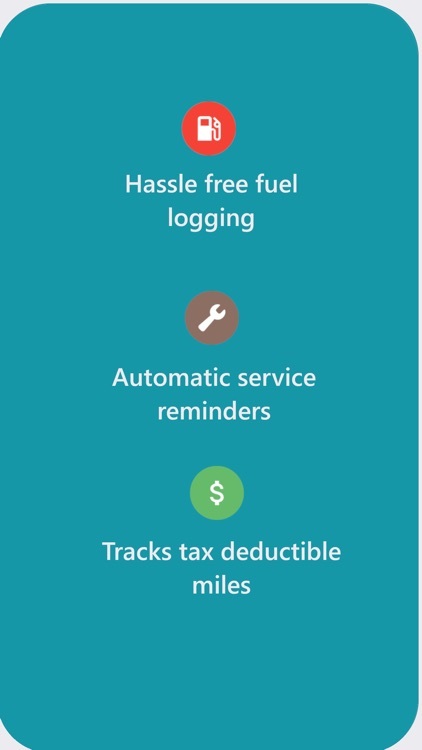 All trip logs are automatically synced online for backup, easy management & report generation. 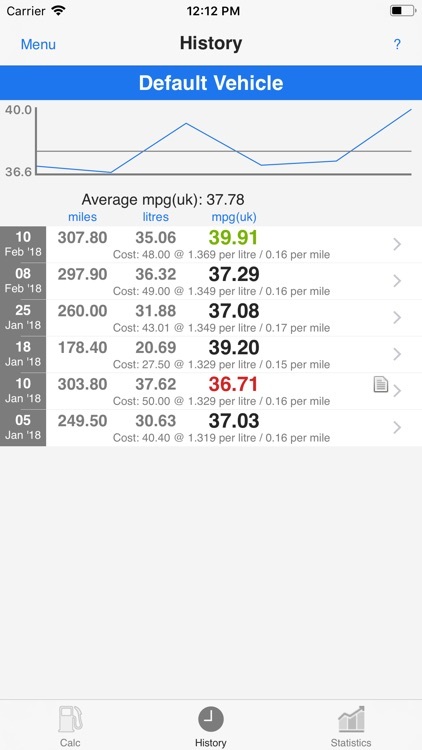 New and improved units for users in the UK. 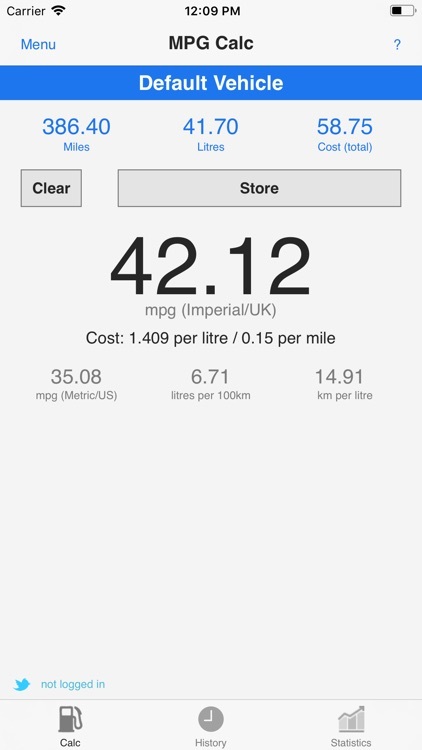 A quick easy way to record and review your car's fuel economy. 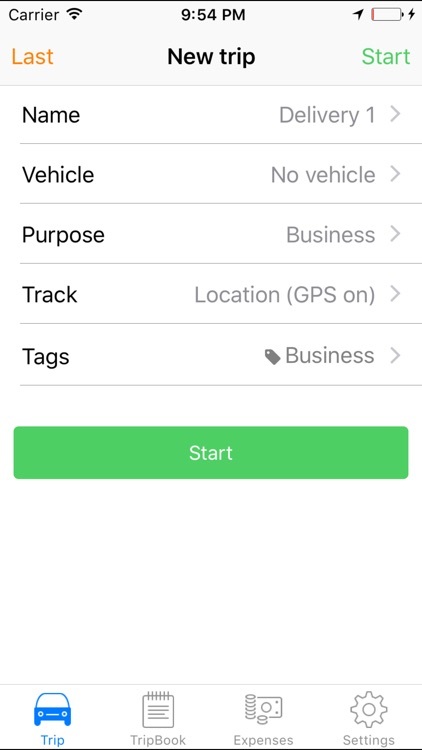 You can track up to 4 individual vehicles. 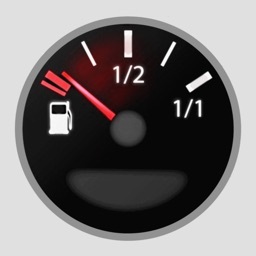 Simply fuel up, enter the distance travelled and the amount of fuel..... done. 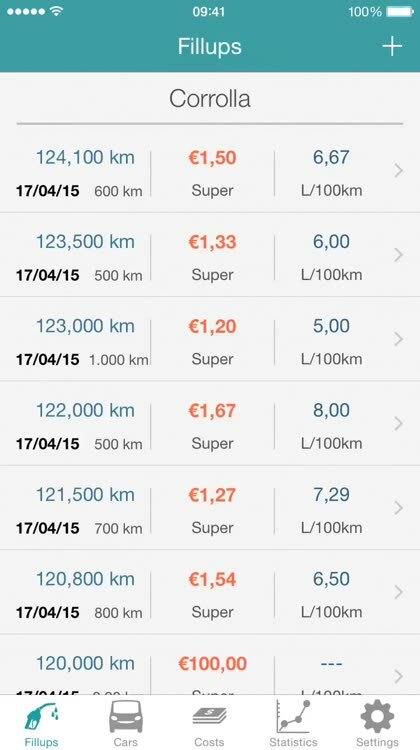 Set your trip meter to zero and drive on. 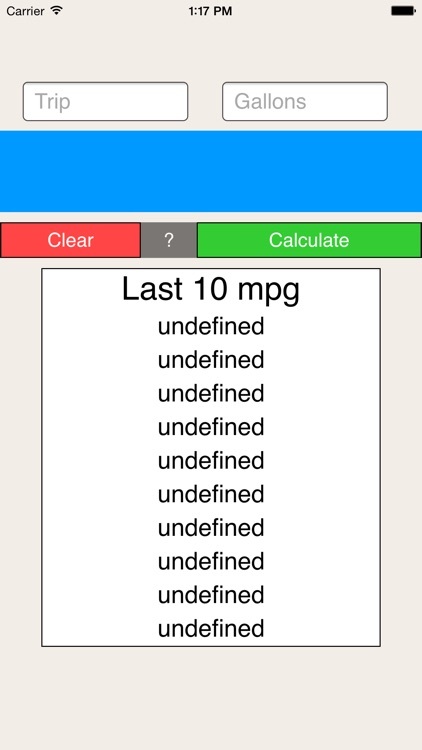 Free version of the popular MPG Calc app. 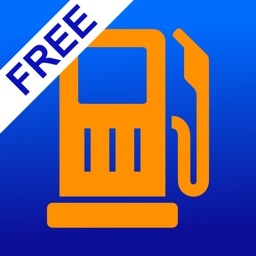 This free version will perform all calculations that MPG Calc full version does, but is limited to storing a total of 5 trips and will not import data. 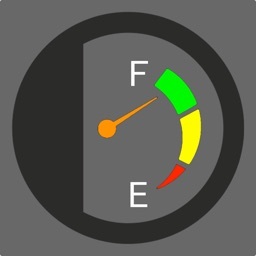 Simple, but powerful fuel tracker. • International support (Metric, US, and etc.). 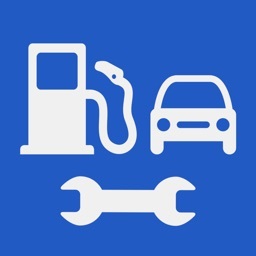 Calculate your car’s fuel consumption. 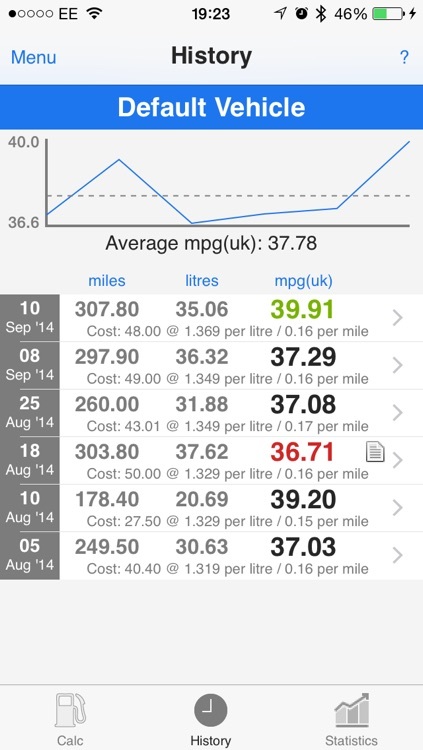 Ever get the feeling that your car’s fuel consumption isn’t living up to expectations? 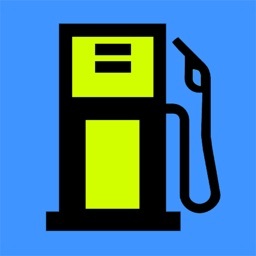 This is a simple MPG calculator that you can use quickly while at the pump. 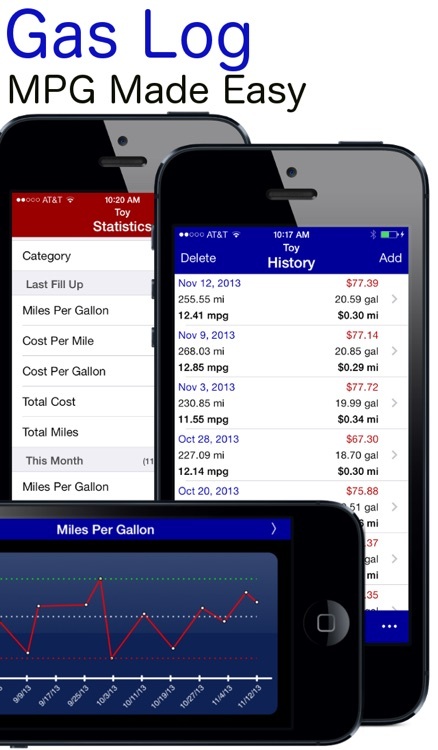 This application simply tracks fuel MPG for all your cars, trucks as many as you like. 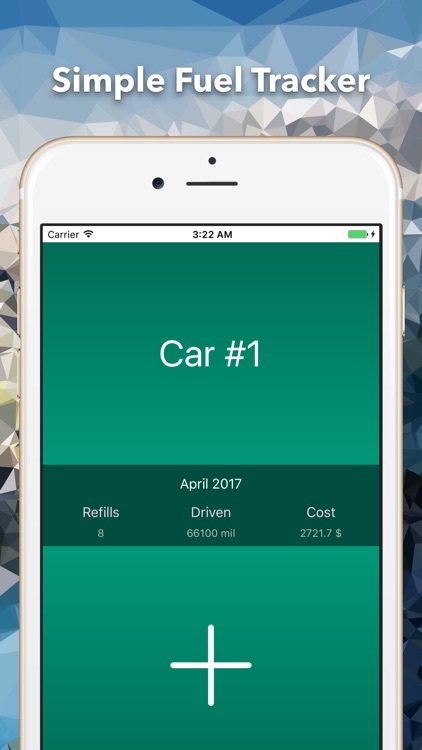 The goal of this application is simple and clear: Simple, because the number of fields you need to input is only 3, using a number keypad with big buttons. 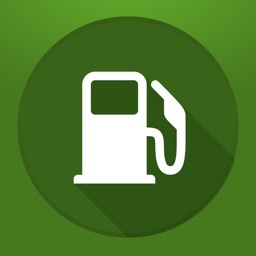 And for each filling up, only the 3 fields need to be filled: Odometer, Gallons, Price. 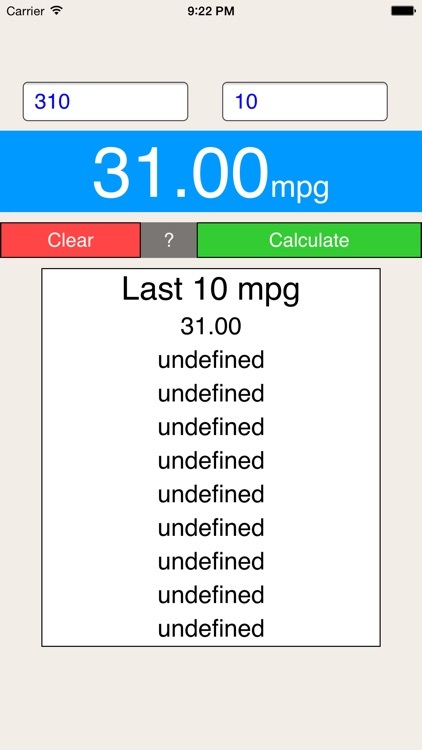 Clear because it has its clear goal: tracking MPG of your cars, nothing else. 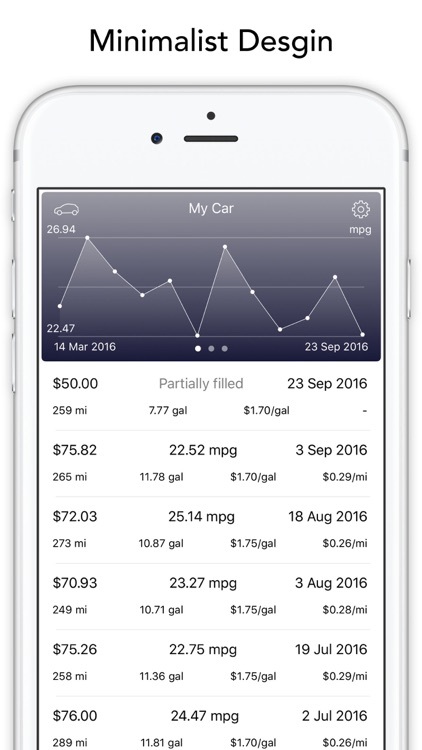 Simple is the keyword for design of this application.It is simple to use, easy to to understand, quick in inputting data. 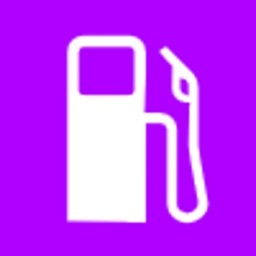 When compared with other similar applications, this application has following advantages. 1. 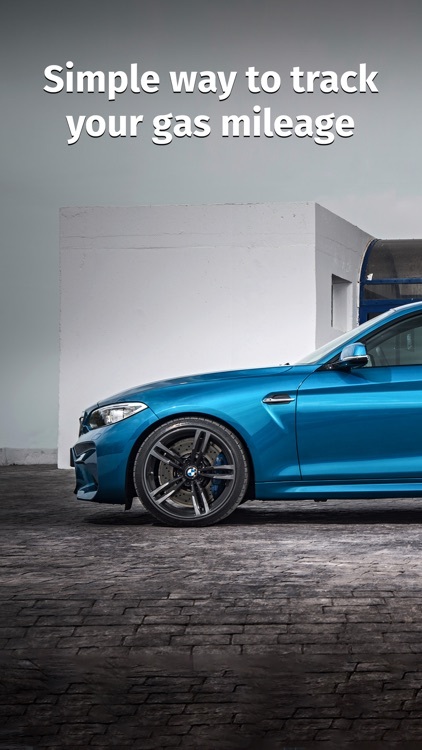 Stable: A complete test has been performed to insure that it will not crash on you . 2. Quick turnaround: it has its 3 input fields in one screen(other fields are automatically calculated real time as you input), you do not have to flip to other screen for inputting each field. 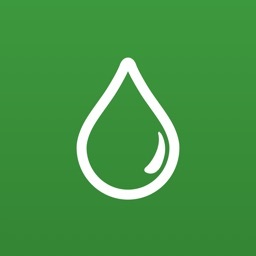 not like many other apps that you have to tap each field which will take you to another screen for input this single field and then tap to come back for next field. 3. 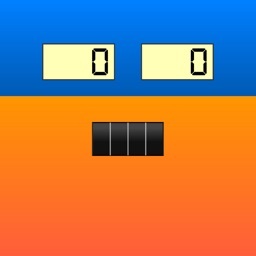 Easy to use: Inputting keyboard is a big button numerical keyboard for easy inputting. 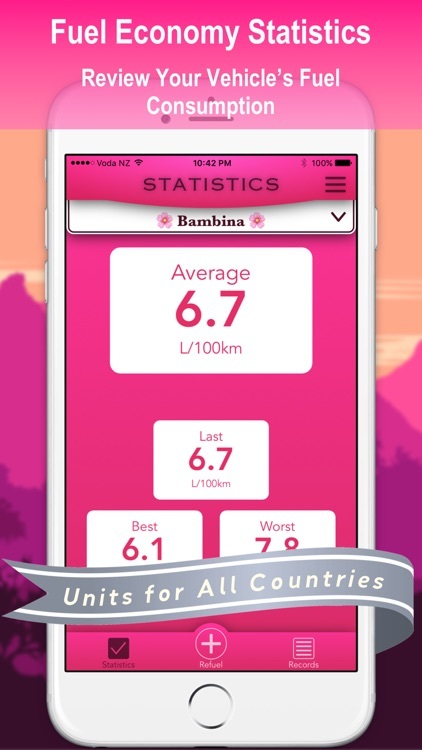 A lot of other apps use small button standard keyboard which is harder to use and error prone. 4. 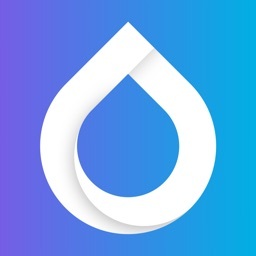 Data Safe: An effort has been made that all future updates to a newer version will keep your old data, not erase. 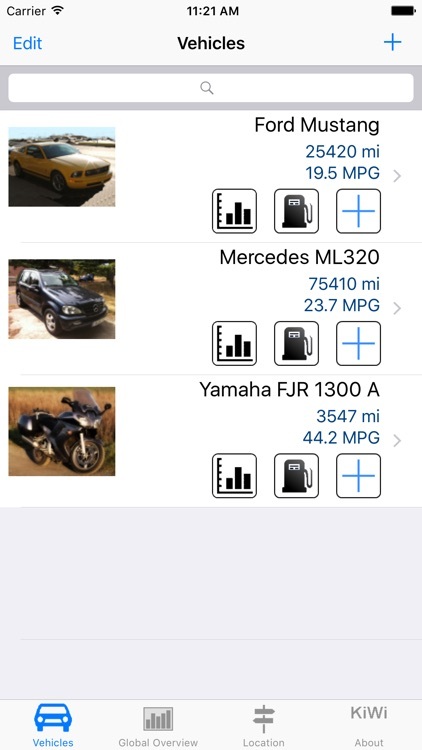 This application is also very good for temporary tracking like rented cars for vacations. Please visit our website at http://Yalisoft.gotdns.com:900/MPGTracker/ for detailed usage. 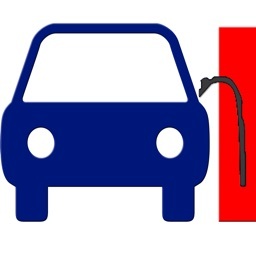 Usage is simple. 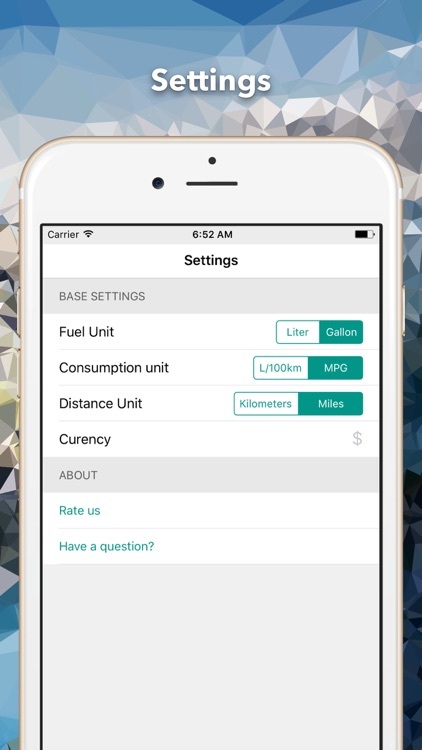 First thing to do is add a car using the plus button at upper right corner of the car list screen. 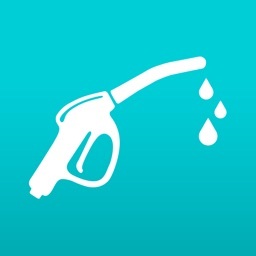 Then From car list, tapping on a car will take you to the fueling record list. Again, add a record button is at the upper right corner with a plus sign. 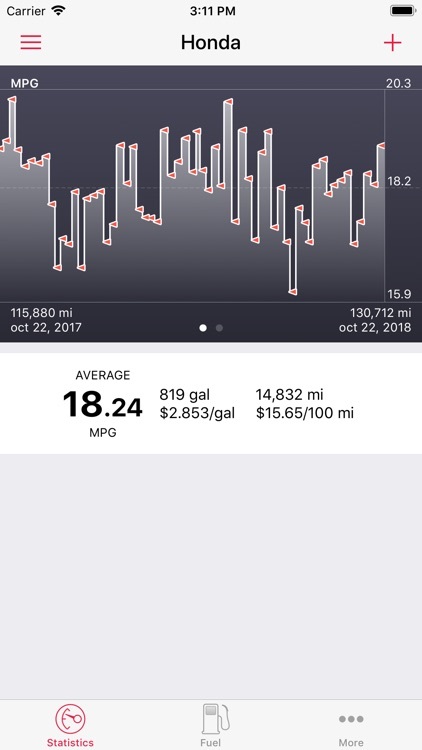 The last row of the record list is the statistic results that you might be interested, including total miles driven, total dollars spent, average MPG, average price etc. 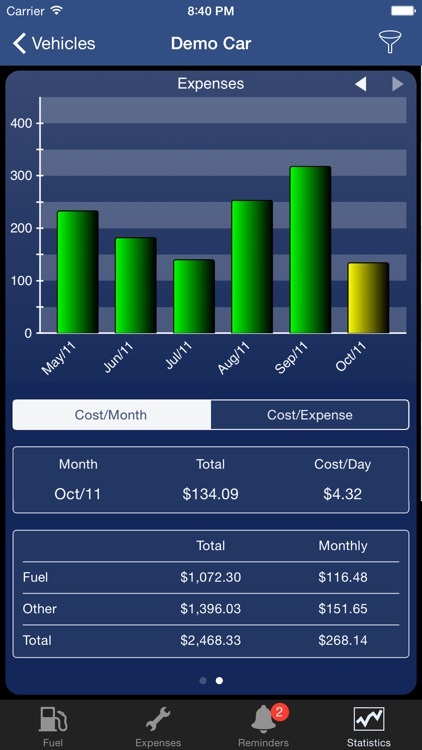 The fueling record table can be in portrait and landscape mode. 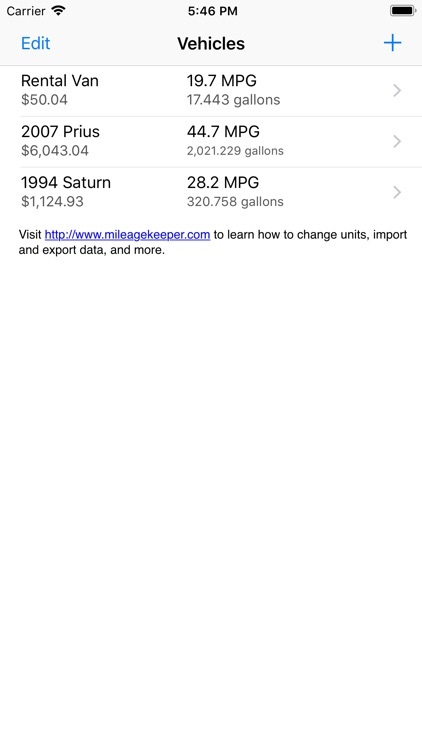 When in landscape mode, it shows up as a one-record-per-row table appearance with table header not moving out of screen when table scrolls up, a feature for better reading of different fields. The last row is totals and averages of corresponding fields, a format that is very straight forward to understand. 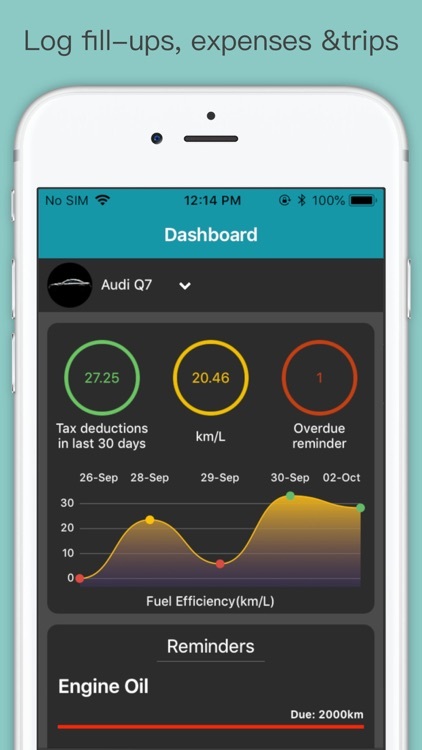 This app also features a partial fillup. 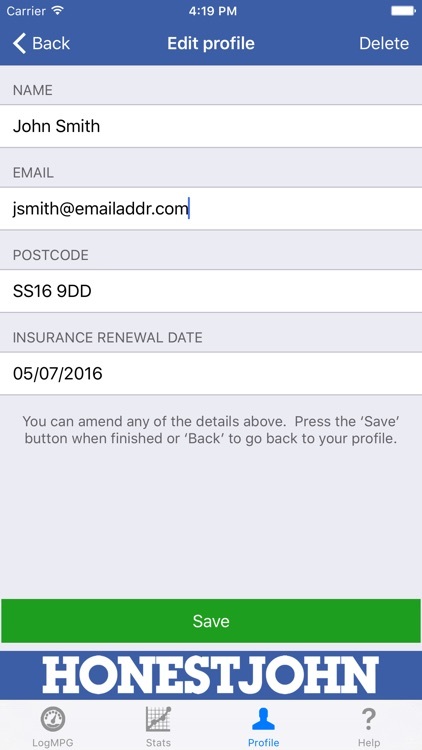 For partial fillup, just tap the button to toggle it to partial fill. 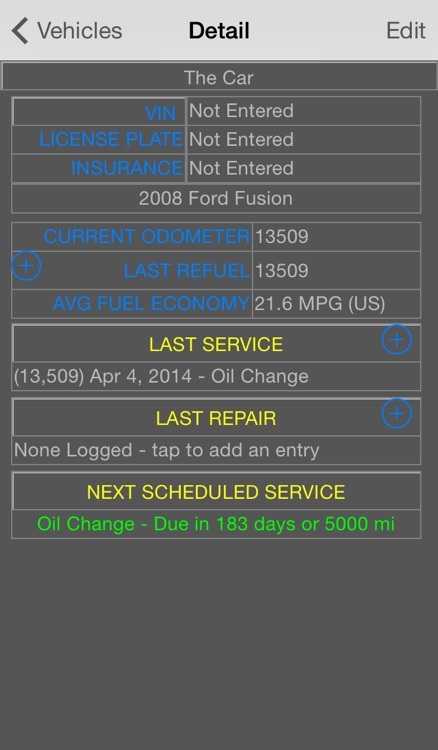 You can also delete a car or a fill up record by sweep a record and press the delete button for that record. 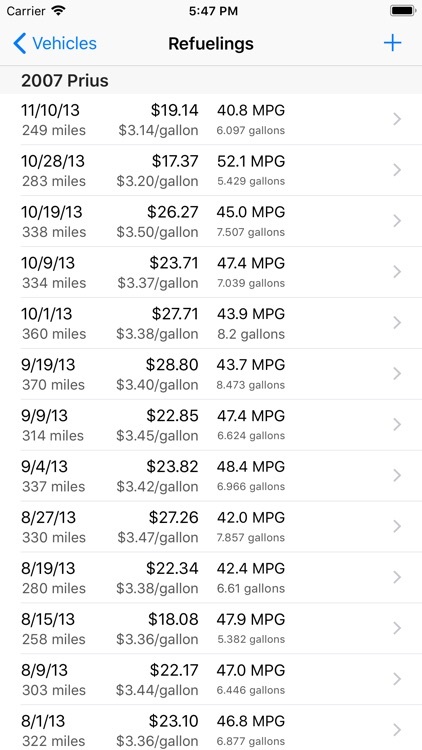 Deleting a car will also delete all its fueling records. After you press the delete button after sweeping a record, another confirmation alert will come up asking you to confirm the deletion again as a safe feature. 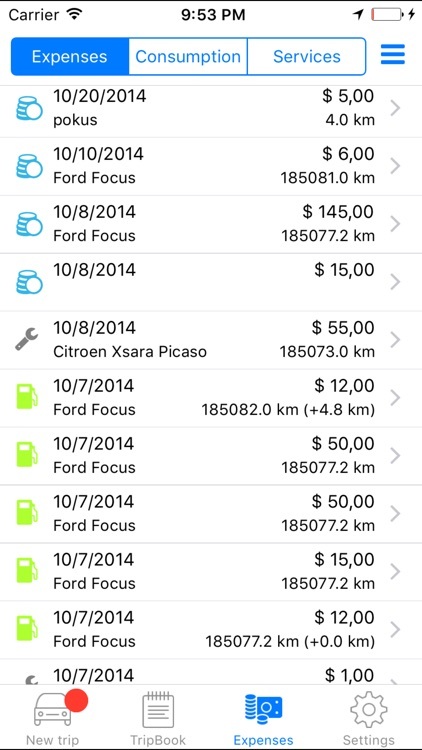 In car list, each row has an arrow at the right end that, when tabbed, will take you to a screen for renaming the car. 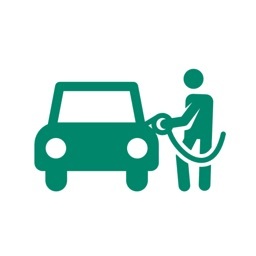 Renaming a car will not affect its fueling records. By the way, The problem mentioned in the reviews has already been fixed. 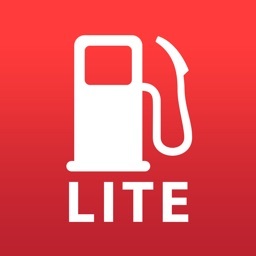 Thanks for your interest in our application. 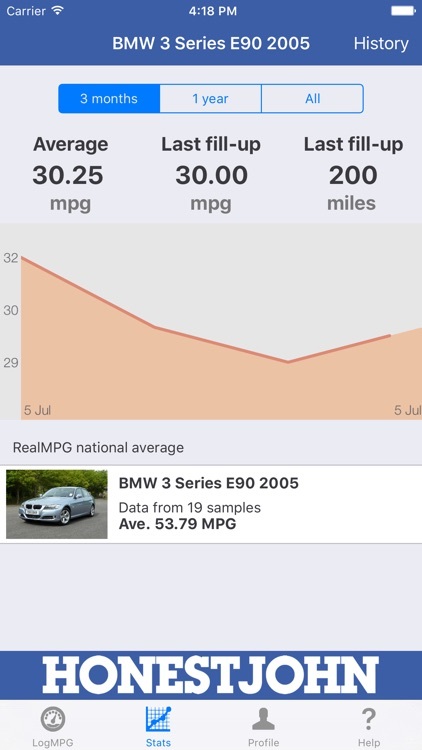 Track your MPG with this app! 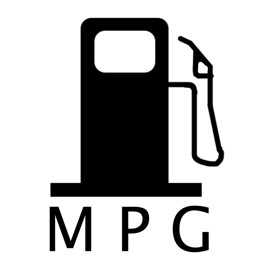 MPG Calculator lets you calculate either Litres/100kms or Miles/gallon in either US or UK gallons. 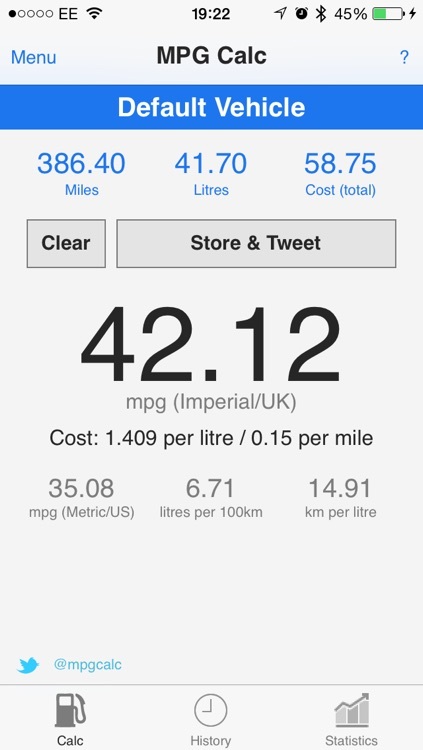 Simply enter in your odometer reading before and after your journey and how many litres or gallons of fuel used. 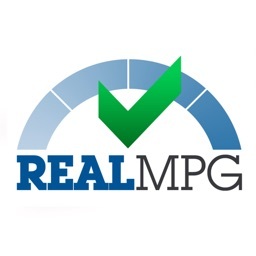 MPG Calculator also lets you enter in an amount in one unit and then it will convert that amount for the other two units so you don't have to.